Guest lecturer at the West African Examinations Council (WAEC)’ s 24th Endowment Fund Lecture, Prof. Joe A. D. Alie, has stated that one exam or low mark cannot take away the dreams of students. 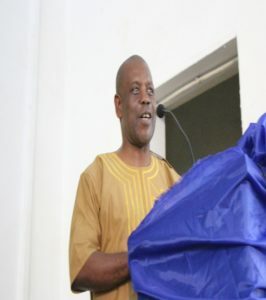 Prof. Alie, who was lecturing at the British Council Auditorium on Tower Hill, Freetown, yesterday (Monday 17th March, 2019), on the topic: Innovative approaches to measuring the knowledge, skills and aptitudes of students’, also said if students do not perform well in one examination, their confidence must not be taken away from them and that they should be encouraged to do more. He noted that musicians, as well as sportsmen, could not mind their deficiency in speaking the English language, but that they still realize fortunes from their trades. “Our students have different attitudes and talents and our assessments of their performance should not be haphazard. Teachers should make our their less stressful. Exams are not the sole means of assessment in today’s world,” he said. He said teachers were expected to evaluate their students’ performance regularly, adding that nothing was important than the assessment of students’ work. Prof. Alie said assessment provokes more anxiety among students and that teachers must make it more meaningful and integral to students’ learning. “Assessment methods must be dynamic. And, we need innovation in assessing our students’ learning. Currently in Sierra Leone’s school system, as well as WAEC and other examining bodies, students are assessed in both formative and summative methods,” he stated. He noted that teachers encounter challenges in assessing their children, citing overcrowding and limited teaching and learning resources as some of the challenges. He said most teachers resolve to easy ways of assessment, which, he noted, were sometimes not desired to children’s learning needs. He cited multiple choice questions (MCQs) as one of the easiest ways of assessing students , stressing the need for quality and effectiveness of teachers, the general attitude of students towards their school work, help develop certain skills, foster positive social attitude, which, he said would help make children valuable members. Prof. Alie says the role of feedback in assessment was key for students to make the needed improvement, calling on teachers to be providing feedbacks to their students through understandable means. “Effective feedbacks enhance students’ performance. We now have innovative assessment. It’s about the redistribution of educational powers. It aims to produce a more fertile environment. It is fairer and less discriminative and it’s widening success. It’s more reliable means of students’ learning,” he said. He said WAEC was making great efforts for E-assessment in exams, which is an innovative way of assessment. Chairman of Council from The Gambia, Baboucarr Bouy, said the WAEC’s 24th Endowment Fund Lecture was so important to the council’s operation. He said the lecture was also crucial to WAEC’s role in the sub-region. “WAEC’s operations resemble a health centre where diagnosis is done and for us we will call it the diagnostic centre for education. WAEC occupies a central wing among wings, and if the central wing is removed, the entire system would breakdown. The council is older than some of us but it continues to play a strategic role in the education system of our sub-region,” he stated. 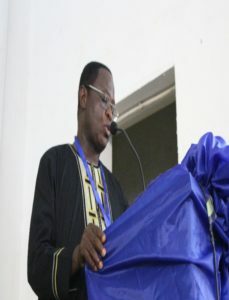 While introducing the guest lecturer, Chairman, WAEC’s Sierra Leone’s office, Arnold B. Kamara, described Prof. Joe A.D. Alie as a seasoned lecturer, educator, and lecturer. “He is very knowledgeable in the contemporary development of Sierra Leone and he has contributed enormously to education in the country,” he said.